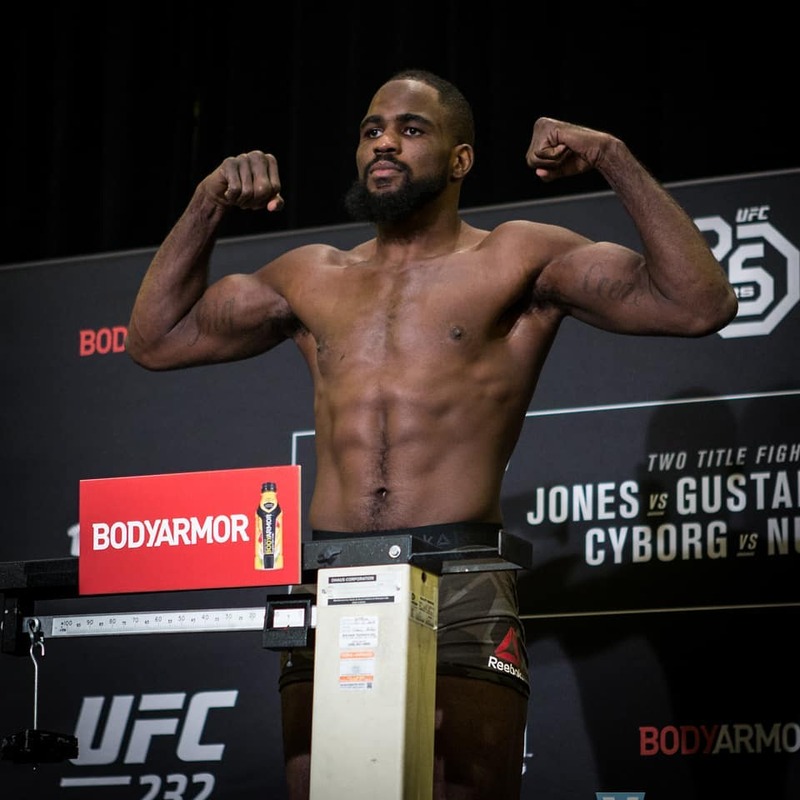 Fighting out of Rockton, Illinois, United States, Corey “Overtime” Anderson, 29, has earned his ninth victory in the Ultimate Fighting Championship. He was one of the winners at “UFC 232,” the final event of the promotion for 2018. Featuring 13 mixed martial arts bouts, “UFC 232” took place at The Forum, Inglewood, California, United States on December 29, 2018. In the 10th bout of the evening, Anderson and Ilir “The Sledgehammer” Latifi of Malmo, Sweden battled it out in the light heavyweight division. After three five-minute rounds, the light heavyweight bout between Anderson and Latifi was left in the hands of the judges, who scored it 29-28, 29-28 and 29-28. In the end, referee Marc Goddard raised the hand of the fighter from Illinois, who was declared the winner via unanimous decision. The victory at “UFC 232” improved Anderson’s professional MMA record to 12 wins and 4 losses. On the other hand, Latifi now has 14 wins, 6 losses and 1 No Contest. Anderson was the fourth fighter to defeat the Swedish fighter in the UFC octagon. On July 6, 2014, Anderson made his successful UFC debut in the finale of “The Ultimate Fighter 19” by knocking out Matt Van Buren of Chula Vista, California via punches. This was followed by the Illinois native’s unanimous decision win over Justin “Lazy Bones” Jones of San Diego, California at “UFC 181” on December 6, 2014. After suffering a technical knockout defeat in the hands of Gian Villante of Bellpore, New York, USA at “UFC on Fox 15” on April 18, 2015, Anderson defeated Jan Blachowicz of Warszawa, Poland, Fabio “Caipira de Aço” Maldonado of Florianópolis, Brazil and Tom “Filty” Lawlor of Las Vegas, Nevada, USA all via unanimous decision. The other fighters who lost to Anderson in the UFC octagon were Sean “The Real OC” O’Connell of Salt Lake City, Utah, USA, Patrick “Durkin” Cummins of Dana Point, California and Glover Teixeira of Danbury, Connecticut, USA.